Nearly all matches were played away this week with 3 men’s rinks going to Sidmouth but unfortunately only winning on one rink. Vic Doidge, Dave Mansell, Mike Holmes, Ian Munro were behind until the 16th end when Madeira scored 5 to take the lead 18-15 and another 4 on the next end clinched the game, despite giving away a 5 on the last end. 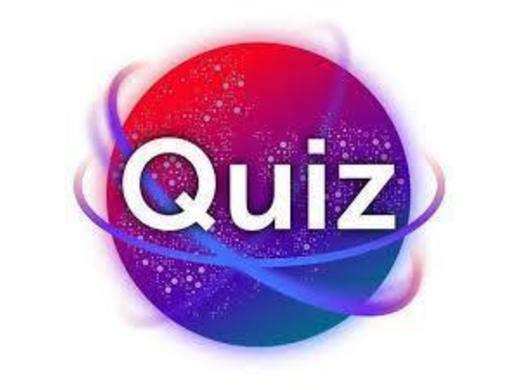 Vic won 26-20 but there was an overall loss 48-72 in Sidmouth’s favour on their home ground. The next day 3 men’s triples played away again against Honiton, losing on all 3 rinks, despite a last minute rally on the last few ends. An enjoyable afternoon, nonetheless. On the same day Madeira ladies took 3 triples away to Exonia, winning 2 out of 3 rinks, although Deirdre Norman’s rink only lost by 1. 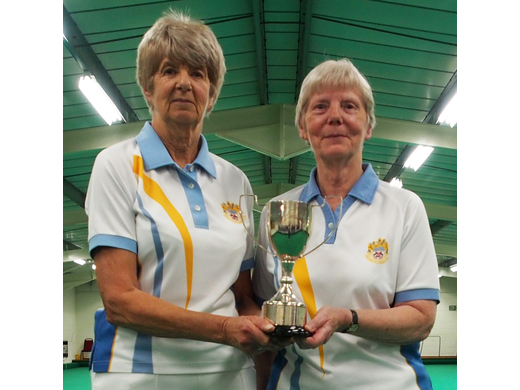 Sandie Cox, Janet Grundy, Lyn Hambly were level at 13 ends but a 5 helped to a final win 16-11. 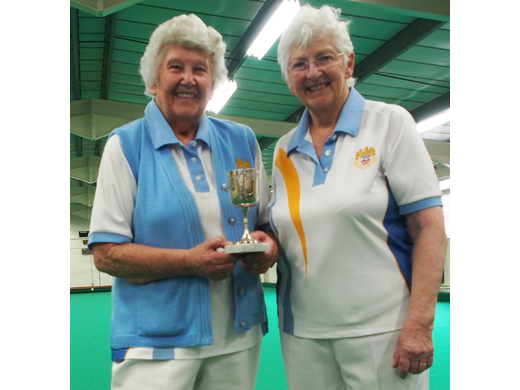 Lin Halpin, Penny Preece, Glynis Byrn were initially behind but caught up after 11 ends, retaining the lead to win 16-12. Overall final score was 48-40 to Madeira. Playing away again Madeira took 2 men’s rinks to Budleigh, where they lost by 9 overall. 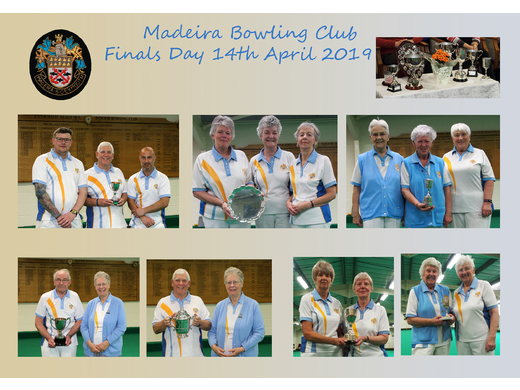 A final away match was with 3 mixed rinks to Isca where sadly Madeira lost on all three rinks again, although only by 2 shots on two out of the three. 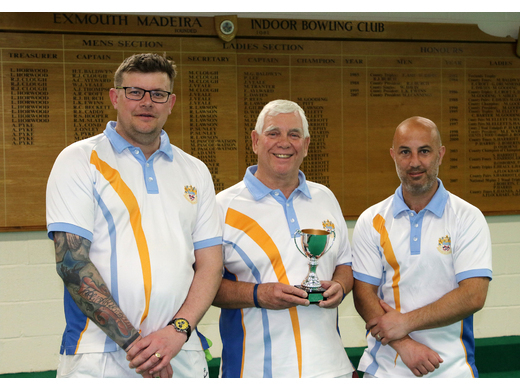 However in the Interclub match against Mid Devon, 2 rinks home, 2 rinks away, the men had a good result winning on 3 rinks for a final score of 88-66. Lastly, 3 rinks of men played in the Ken Boobyer Memorial fixture which is a match which has been played annually since 1982 against Ken’s club Bitton Park (Teignmouth). 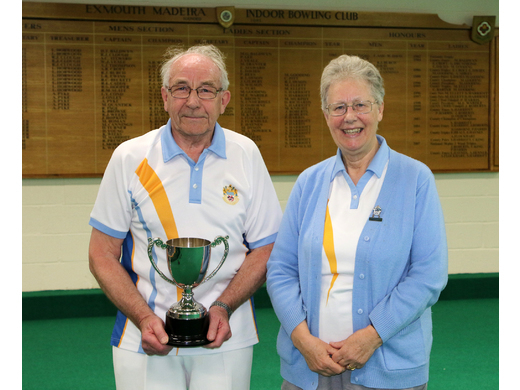 Madeira’s Bob Burch and Ken were both England International players (outdoors) and Ken brought a team when the Madeira Indoor Bowling Club was inaugurated. 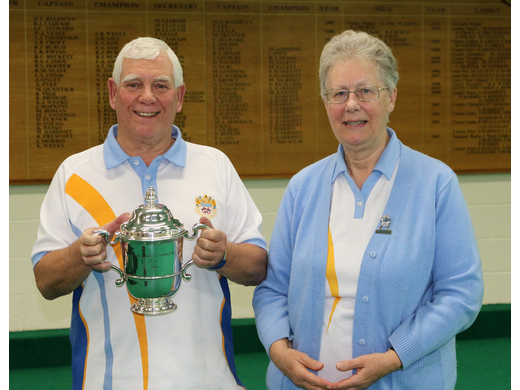 Although Ken Boobyer sadly died last year Bitton Park decided to continue with the fixture in his memory, and were especially pleased this year to have Bill Smith, Bowls England President, playing for them. 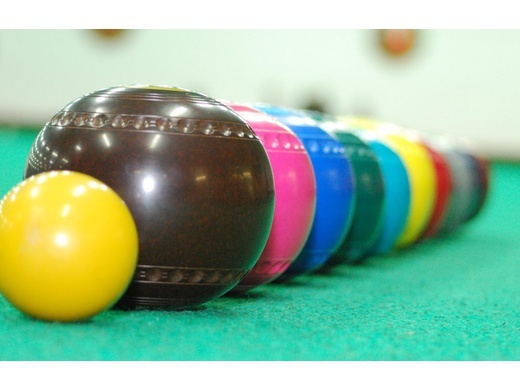 After 13 ends the overall score was level at 39 each, but then two rinks pulled away with a final score of 64-50. 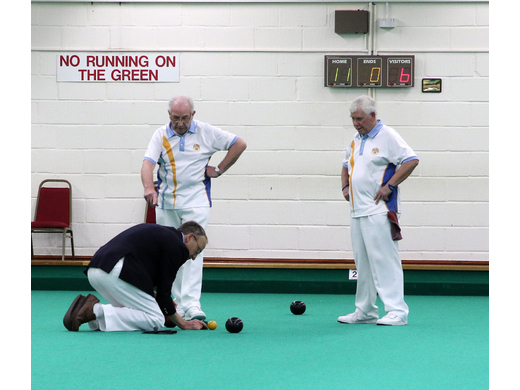 Bob Finch, David Mansell, Danny Doran, Roger Brown won 28-12, and David Bagnall’s team scored 20-14. Bob Burch was Captain for the day but sadly turned out to be the only losing rink. 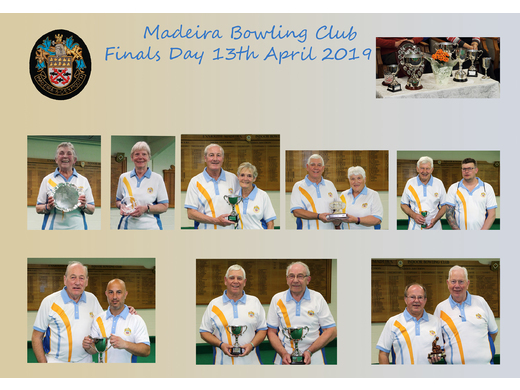 All in all it was a very enjoyable way to spend a Sunday afternoon and Madeira will look forward to continuing the annual tradition next year.